A cohesive approach to regression models, this book introduces a unified representation--the generalized regression model (GRM)--of various types of regression models. It also uses a likelihood-based approach for performing statistical inference from statistical evidence consisting of data and its statistical model. 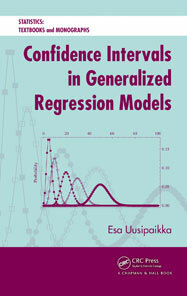 The book encompasses a number of different regression models, from very simple to more complex ones. It covers the general linear model (GLM), nonlinear regression model, generalized linear model (GLIM), logistic regression model, Poisson regression model, multinomial regression model, and Cox regression model. The author also explains methods of constructing confidence regions, profile likelihood-based confidence intervals, and likelihood ratio tests.